Hello ... Hello ... my old friends ... It's great to see you once again! Over the light years, as have many ELO fans, I've managed to build up a collection of ELO [and related artistes] releases, rarities and memorabilia. Yours Truly KJS was asked the other day by a friend as to what was my most prized ELO Beatles Forever [ELOBF] related item. So, here is my answer to that question, at the time of writing: I've had the great pleasure of meeting - and in some cases interviewing - my musical heroes. 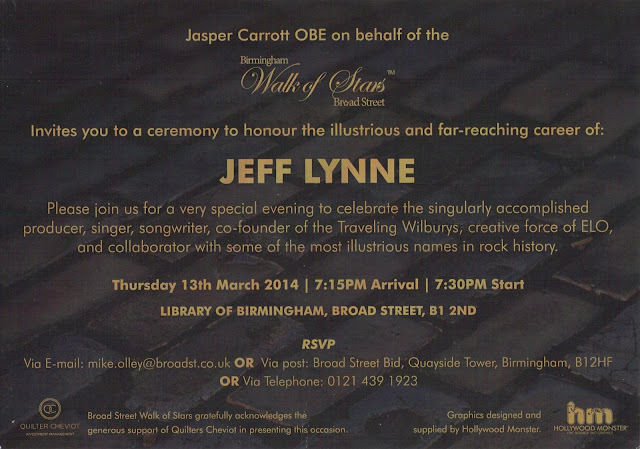 However, my biggest disappointment was not being in a position to to attend Jeff Lynne's Broad Street 'Walk of Stars' presentation in Birmingham earlier this year. 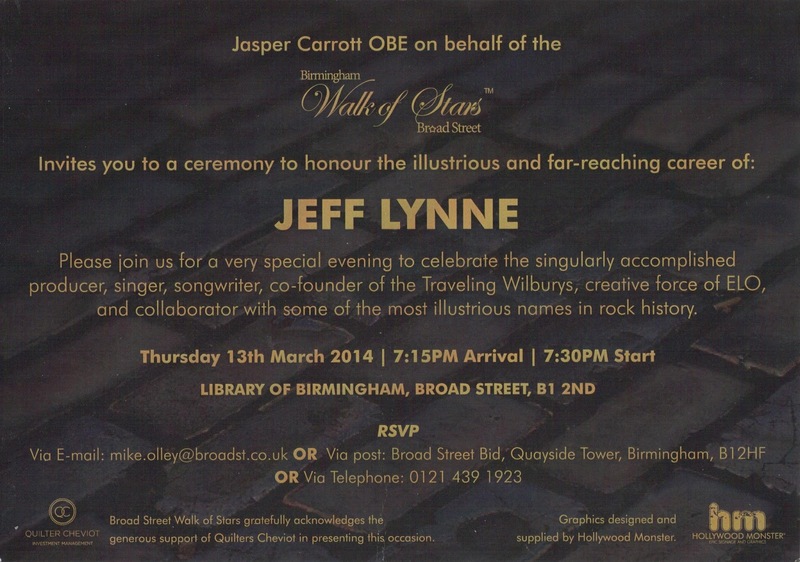 Hence, when my uncollected invitation for that event arrived in the post a few days later signed by Jeff Lynne, it was instantly elevated to the top of my collection and more than made up for my misfortune. A prized possession in the truest sense of the word. 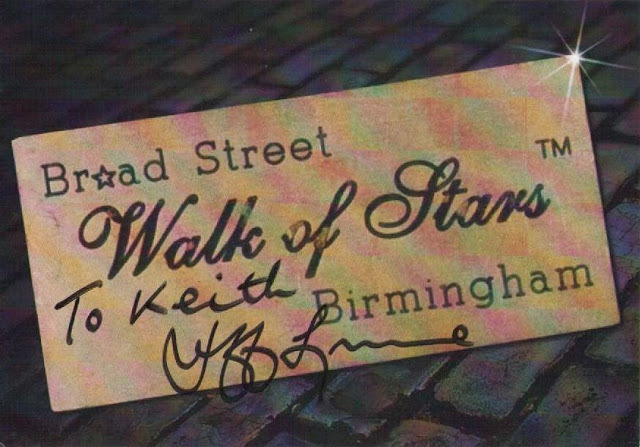 What's your most prized ELO related possession?